With new upcoming rules and regulations, the payday loan industry has been all over the news recently. 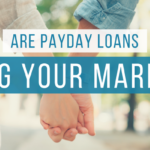 And while most agree that everyone should stay far, far away from payday loans (along with all their dangers) and that taking one out is quite possibly the worst financial decision to make, there’s a small minority in favor of them. There’s lots of different opinions one can have. Regardless of your stance on the topic, though, there’s a real story behind all of the opinions. 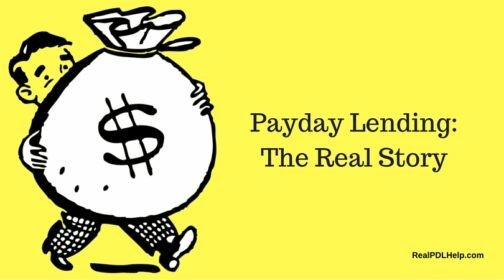 So, we’re sharing the facts … the real story of payday lending. The truth is, payday loans come with insanely high interest rates! The annual percentage rate (APR) for payday loans averages 400% or higher. According to this report by the Consumer Federation of America (CFA), some loans have been as high as 780%. It’s highway robbery! Another study found that borrowers were spending $520 in interest with an average loan amount of only $375! Is the long­term struggle and crippling cost worth the short­term gain? 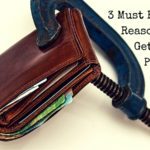 The truth is, the payday loan debt trap is very real! The average payday loan borrower takes out 8 loans per year. The payday loan trap is too easy to fall into and far too difficult to get out of. It’s a trap that will leave you broke, stressed, and overwhelmed. 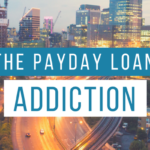 If you do a quick internet search for payday loans, you’ll see story after story of someone who fell into the payday loan trap with a small $500 loan to help “pay the bills” and found themselves in tens of thousands of dollars in debt. Payday lenders are aggressive and so are the fees and interest that you’ll rack up on even a small payday loan. 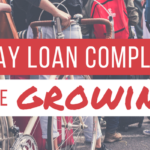 A report by the Consumer Financial Protection Bureau (CFPB) found that 80% of payday loans are either rolled over or renewed. Four out of five payday loans are either rolled over or renewed within 14 days! The majority of these loans are made to borrowers who renew their loans so many times they wind up paying more in fee expenses than the total amount of money they originally borrowed. If you’re still skeptical, only 15% of borrowers actually repay all of their payday debts without re-­borrowing within that 14 ­day period. The fact is, the payday loan debt trap is very real. The truth is, payday loans are one of the most expensive forms of financing. For every 3 out of 5 payday loans, borrowers end up paying more in fee expenses than the total loan amount owed. And with interest rates 400% and higher, you can understand how taking out one small payday loan can become a vicious cycle. Due to high interest and fees, people aren’t able to pay off their loan in time while also covering other necessities. So, they take out another loan to cover the first. And they do so again and again and again. The truth is, payday loans are not your only quick cash option! We get it. You’re in a pinch. Cash is short and you still need groceries and you have to pay rent and electricity. Maybe you lost your job. Maybe you went from two incomes down to one. Whatever the reason for needing extra cash fast, payday loans are not your only quick cash option. There are dozens of ways to get cash fast. For several helpful alternatives, check out our previous post, “8 Ways to Avoid Needing Quick Cash Payday Loans”. These are the facts. This is the real story of payday lending, and it’s no fairy-tale with a happily ever after. If you’d like to learn more about the payday loan industry, check out our previous post, “10 Surprising Facts About Payday Loans”.